Otis is now reunited with his family. Even as Texas is reeling under the impact of Hurricane Harvey, a dog has become the unlikely symbol of Texas strength. 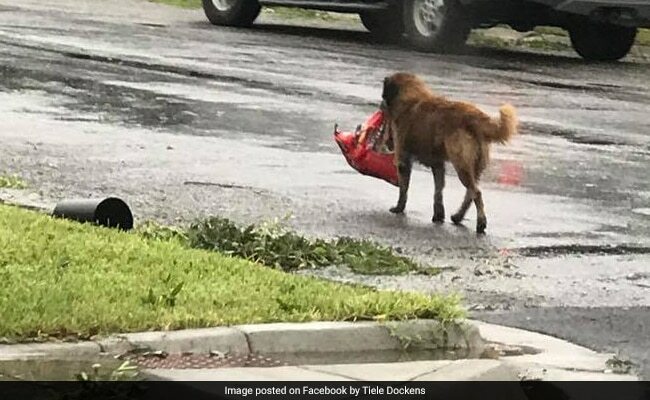 Otis, a pet dog from the small town of Sinton in Texas, USA, went viral after he was spotted out on the streets, carrying a whole bag of dog food. 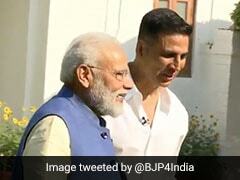 The story behind the viral picture has now been revealed. According to Chron.com, Otis, a German Shepherd mix, got loose Friday night while in the care of Salvador Segovia, 65. Mr Segovia was taking care of Otis for his grandson Carter, 5, who had fled the city due to flooding. "I kept yelling his name and yelling his name and he wasn't around," Segovia told Chron.com Saturday. Mr Segovia also found Otis' bag of dog food missing, and went driving around the neighbourhood to look for his dog. Meanwhile, Tiele Dockens saw Otis walking around with a bag of dog food in his mouth, and posted the picture on Facebook, where it has been shared over 22,000 times. In a happy ending to the story, Mr Segovia was eventually able to track Otis down and bring him home. Otis was already a local celebrity in the small town with a population of 6,000, but he has now become an international celebrity as well. "Otis can go to Dairy Queen and he can get a hamburger. He's the only dog allowed to lie down in front of the county court house," says Mr Segovia. "He's not a stray. He's a good dog." Many on social media have echoed that sentiment.